Despite those experimental data suggesting an important role of angiotensin II in regulation of pulmonary arterial pressure, clinical results of the use of angiotensin-converting enzyme inhibitors are not unanimous. Captopril was used in patients with primary pulmonary hypertension and pulmonary hypertension in the course of collagen diseases. The majority of papers dealing with acute hemodynamic effects of the drug report positive results. Some authors, however, did not find any effect of the drug on pulmonary hypertension. Those differing results could be explained by different severity of pulmonary vascular lesions in patients studied. Pulmonary vasoconstriction may be more responsible for increased pulmonary vascular resistance in patients with early vascular disease, and vasodilator drugs are more likely to be helpful. Right heart and pulmonary artery catheterization with wedge pressure measurements before and after sequential vasodilator administration represents the most reliable method for assessing possible benefits from vasodilator treatment. Much less is known about effects of captopril on secondary hypoxic pulmonary hypertension. Richard et al compared acute hemodynamic effects of a single dose of 50 mg of captopril in two groups of patients. One consisted of five patients with chronic respiratory failure, the second was comprised of five patients with chronic heart failure. Significant decreases in mean systemic arterial pressure, systemic vascular resistance, and pulmonary wedge pressure, with improvement in cardiac index were found in both groups. In patients with chronic respiratory failure, pulmonary vascular resistance and pulmonary arterial pressure did not fall in contrast to patients with heart failure in whom pulmonary arterial pressure decreased to similar extent as pulmonary wedge pressure. The results suggest that captopril does not modify pulmonary vascular resistance in patients with pulmonary hypertension resulting from chronic alveolar hypoxia. Recently, Burke et al briefly reported results of hemodynamic studies before and after captopril in five patients with chronic airflow obstruction receiving long-term oxygen therapy. After three days of captopril (25 mg tid), pulmonary arterial pressure and pulmonary vascular resistance were significantly reduced. Cardiac output was significantly increased. Our results agree with those of Richard and colleagues in their patients with chronic respiratory failure. 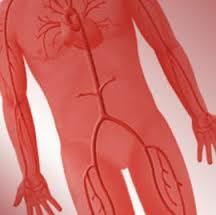 We have also found a decrease in systemic arterial pressure and resistance as well as in pulmonary wedge pressure. Cardiac output showed a tendency to increase, although the change was not significant. Pulmonary vascular resistance and pulmonary arterial pressure did not fall with a resulting increase in pulmonary driving pressure. This confirms that captopril did not produce a vasodilating effect on pulmonary vasculature in studied patients. The decrease in pulmonary wedge pressure reflected a reduction in left ventricular afterload. Richard et al performed the study using only an active drug. Our investigation comprised also a control group receiving placebo. It seems that singleblindness of our protocol could not affect the final outcome of the study as randomization was done before individual patients entered the study. To make our study group a homogenous group of patients with cor pulmonale, we excluded patients with other diseases that could affect the heart. No patient with systemic hypertension, coronary heart disease, or valvular disease was studied. It seems that the lack of effect of captopril on pulmonary vascular resistance in patients with chronic cor pulmonale may be explained by the character of changes in the pulmonary arteries responsible for its increase. They are mostly of anatomic type. Medial hypertrophy, muscularization of pulmonary arterioles, and intimal fibrosis cannot be affected by acute administration of a vasodilating drug. Oxygen, the most potent pulmonary vasodilator acutely administered to such patients, brings about only minor, if any, decrease in pulmonary vascular resistance. Patients with acute respiratory failure are known to develop oxygen-responsive vasoconstrictive pulmonary hypertension and might benefit from vasodilator drug treatment including angiotensin-converting enzyme inhibitors.